SCCMA/MCMS members, call 800-842-3761 to see if you can save! Are you paying too much for your workers’ compensation coverage? Finding out is easy. Just call 800-842-3761 to compare your current policy with workers’ compensation insurance available through the Association/Society. This members-only program is available through Mercer. As the world’s leading insurance broker, Mercer can provide the outstanding service and expertise you deserve. Call Mercer at 800-842-3761 today to get your free, no-obligation quote. ver and was recognized as the state capitol. Eiffel of the Eiffel Tower designed a tower that still stands in the town center. However, many of the town’s inhabitants died, leaving it a virtual ghost town. Thousands died from mercury and arsenic poisoning that was found in the ore and also used in the extraction process of both gold and silver. Today, El Triunfo has only a population of a few hundred and is beginning to slowly rebound with tourism and its remarkable history. Dr. Shea describes a similar event in the 1800s just south of San Jose, CA. Maybe in the future we won’t need to think about ICD codes. However, for the present time, they remain an integral part of our medical lives in describing proper diagnosis, treatment, and billing. Learn more about ICD-10! contract included a 70% reduction in reimbursement for Covered California patients. They were trying to force him to sign the contract by telling him that he would not get to see his Blue Shield PPO patients if he did not sign. Physicians should not be forced to assume such obligations as a condition for maintaining access to their patients covered by commercial plans, hence, we asked our legislators to support AB 2400, which allows physicians to affirmatively participate in each of an insurer’s or health plan’s network or product. Reimbursement for Telephone/Electronic Patient Management: This requires insurance companies licensed in the state of California to pay contracted physicians for telephone and electronic patient management services. This lets our patients have faster and more convenient access to treatment, while reducing their lost time from work. It is simply the right thing to do in the 21st century, and we lobbied our legislators to support AB 1771. Sugar-Sweetened Beverages Safety Warning Label: Obesity now riSameer V. Awsare, MD, FACP, is the 2013-2014 president of the Santa Clara County Medical Association. He is a board certified internist and is currently practicing with The Permanente Medical Group in Campbell. safety officials, businesses, and the ACLU. It is imperative that we defeat the anti-MICRA initiative, otherwise, malpractice insurance costs for all physicians in the state will skyrocket. Although the California Medical Association (CMA) and its allies have raised several million dollars to protect MICRA on your behalf, we need the help of individual physicians like yourself. I urge you to learn more about MICRA and how you can help in the fight by visiting www.cmanet.org/micra and then making a contribution to either SACPAC or CALPAC to protect MICRA. In conclusion, although the CMA has some of the best lobbyists, lawyers, and advocates in the state capitol, our most powerful weapon is you. A physician dressed in their white coat, speaking with frontline experience and on behalf of their patients, is a powerful voice that can make all the difference for a legislator facing a complicated health care issue. Our strength is in our numbers and we are strongest when each of you speaks up and is heard. I want to thank all the medical students, residents, and physicians who took the time out of their busy schedules and practices to take the bus trip to Sacramento this year to speak on your behalf. I want to encourage all of you to get on the bus in April 2015, and to join us at the CMA House of Delegates, this year, from December 5 – 7 in San Diego. The most critical developmental window in humans extends from early gestation to the first two years of life. That is when the majority of cells and synapses are settled in place. The brain does not complete development until the early 20s however. The billions of brain cells that form a functioning brain require a very complex and fragile dance between DNA, RNA, proteins, cells, and circulating hormones that occurs in a defined sequence. Many mechanisms can be responsible for harming a growing brain at many points in the process. Thyroid hormone is one factor that plays an essential role in brain development. Environmental operatives that disrupt its production or function will cause irreversible neurologic harm. It is well known that iodine given to pregnant women is necessary for thyroid hormone production in the first trimester to prevent cretinism. However, if given in the second trimester, iodine supplementation does not prevent neurological damage. The fetus begins to produce its own thyroid hormone from 10-12 weeks, but still uses maternal thyroid hormone. (10) Cindy Russell, MD, is the Vice-President of Community Health, Chair of the Environmental Health Committee, and a CMA Delegate with the Santa Clara County Medical Association. She is board certified in plastic surgery and is currently practicing with the Palo Alto Medical Foundation Group. precautionary approach is called for to reduce/eliminate chemicals in consumer products once harm is discovered. (2) New and old chemicals need to be fully tested before commercial release or we will eventually find them in our coffee and our cake. WHAT ARE SOME MAJOR ENVIRONMENTAL FACTORS THAT HAVE EMERGED SINCE 1990? Autism Rising, from page 11 •	Electromagnetic wireless microwave radiation in cell towers, cell phones, cordless phones, routers, smart meters. •	Nanoparticles in consumer products. Autism Rising: Part 2 will discuss some of these issues. pubmed/3358118 17. Would decreased aluminum ingestion reduce the incidence of Alzheimer’s disease?, McLachlan DR CMAJ. 1991 Oct 1;145(7):793804. http://www.ncbi.nlm.nih.gov/ pubmed/1822096 18. New Research Finds Annual Cost of Autism Has More Than Tripled to $126 Billion in the U.S. and Reached £34 Billion in the U.K. http:// www.autismspeaks.org/about-us/press-releases/annual-cost-ofautism-triples 19. Synthetic Food Colors and Neurobehavioral Hazards: The View from Environmental Health Research. Environ Health Perspect. Jan 2012; 120(1): 1–5. Bernard Weiss http://www.ncbi.nlm.nih. gov/pmc/articles/PMC3261946/ 20. Food additives and hyperactive behavior in 3-year-old and 8/9-year-old children in the community: a randomized, doubleblinded, placebo-controlled trial. McCann, D The Lancet, Volume 370, Issue 9598, Pages 1560 - 1567, 3 November 2007 21. Neurotoxins and neurotoxicity mechanisms. An overview. Segura-Aguilar J1Neurotox Res. 2006 Dec;10(3-4):26387. http://www.ncbi.nlm.nih.gov/pubmed/17197375 22. Neurodegenerative memory disorders: a potential role of environmental toxins. Caban-Holt A. Neurol Clin. 2005 May;23(2):485-521 http://www.ncbi.nlm.nih.gov/ pubmed/15757794 23. Developmental Fluoride Neurotoxicity: A Systematic Review and Meta-Analysis. Environmental Health Perspectives. Volume 120 | number 10 | October 2012. Anna L. Choi,1 Guifan Sun,2 Ying Zhang,3 and Philippe Grandjean1,4 24. The Toxins That Threaten Our Brains. Atlantic Monthly. James Hamblin. March 18, 2014. http://www.theatlantic.com/features/ archive/2014/03/the-toxins-that-threaten-our-brains/284466/ www. As a proud sponsor of the Santa Clara County Medical Association’s Annual Awards Banquet, Legacy Wealth Advisors would like to congratulate the recipients of this year’s awards. Member Savings! CLINTON URGES MOVE AWAY FROM FEE-FOR-SERVICE PAYMENT MODEL; SAYS CURRENT SYSTEM IS NOT SERVING PHYSICIANS, OR PATIENTS, WELL. Among our high powered presenters was keynote speaker Hillary Rodham Clinton, Former Secretary of State and Former U.S. Senator from New York. Clinton, who addressed the attendees live via satellite, joined many other big-name thinkers and doers who shared strategies and resources for accelerating the shift to a more integrated, high performing and sustainable health care system. The conference examined the most significant challenges facing health care today and presented proven models and innovative approaches to transform health care delivery and business practices. Below are highlights from this yearâ&#x20AC;&#x2122;s conference, which was April 11-13, 2014, at the San Diego Convention Center. Former Secretary of State Hillary Rodham Clinton addressed the 700 physicians, practice managers, medical students and others at the Western Health Care Leadership Academy in San Diego. Visit the California Medical Association Flickr page at www.flickr.com/californiamedicalassociation to see the photographs from this year’s conference! Mark your calendars and plan to join us for the 18th Annual Western Health Care Leadership Academy, planned for May 29-31, 2015, at the Loews Hollywood Hotel. Additional information will be posted at www. 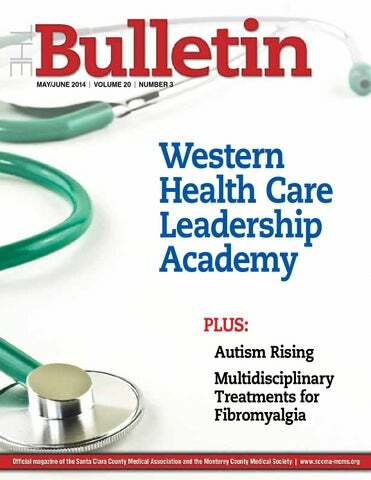 westernleadershipacademy.com when available. Our keynote speaker will be Malcolm Gladwell, international bestselling author whose books have changed the way we think about sociological changes and the factors that contribute to high levels of success. Thank You to SCCMA Alliance CALPAC Donors In the March/April edition of The Bulletin, SCCMA acknowledged our member CALPAC donors. We would also like to acknowledge and extend a huge “thank you” to the Alliance members, listed below, who have made contributions to CALPAC for the 2013-2014 fiscal year. SCCMA genuinely appreciates your commitment to defending and protecting MICRA as well. Want More Than $1,000,000? Travel assistance** and Funeral Planning and Concierge services*** included at no additional charge to you When SCCMA/MCMS/CMA members apply for up to $1,000,000 of 10- or 20-year Level Term Life insurance coverage underwritten by ReliaStar Life Insurance Company, a member of the Voya family of companies, they get a few things non-members don’t. •	Access to special member-only rates; •	Premium savings, since rates are designed to remain level for the first 10 or 20 years of coverage*; •	Each plan also includes a travel assistance service for medical emergencies when you are traveling away from home ** and a funeral planning and concierge service*** at no additional charge to you. You may also insure your spouse or domestic partner, and your eligible employees for up to $1,000,000. Call a Mercer Client Advisor for more information at 800/842-3761, email CMACounty.Insurance.service@mercer.com, or visit www.CountyCMAMemberInsurance.com to download a brochure and application. *The initial premium will not change for the first 10 or 20 years unless the insurance company exercises its right to change premium rates for all insureds covered under the policy with 60 days advance written notice. Underwritten by ReliaStar Life Insurance Company. Home Office: Mpls, MN Policy form LP08GP. **Voya Travel Assistance Services provided by Europ Assistance USA, Bethesda, MD 20814. Services are not available in all states. ***Funeral Planning and Concierge Services provided by Everest Funeral Package, LLC, Houston, TX 77056. Services are not available in all states. This form must be completed by a licensed health professional and returned to the child’s school. 1. Was your child born in Africa, Asia, Latin America, or Eastern Europe? 2. Has your child traveled to a country with a high TB rate* (for more than a week)? 4. Has a family member or someone your child has been in contact with had a positive TB test or received medications for TB? 6. Has another risk factor for TB (i.e. one of those listed on the back of this page)? 3. Has your child been exposed to anyone with tuberculosis (TB) disease? New medical/dental development. Brand new interiors, elevator & lobby. Full TURN-KEY TI’s Available. Central West Valley location. Small medical available. Building is located in close proximity to the Loyola Corners District of Los Altos. 14830 Los Gatos Blvd, Los Gatos Brand New medical office building. Built with the highest quality materials and finishes. TIs Available. Adjacent to Good Samaritan Hosp. San Jose Located in the beautiful Rose Garden District of West San Jose and steps from O’ Connor Hospital. Easy access to hwys. 743 S. Winchester Blvd, San Jose Medical office available in newer medical/retail center near Santana Row & freeways. New building, must see! TI’s available. 2930 Aborn Square Road, San Jose Neighborhood shopping center with wide array of retail tenants with Ross Dress For Less anchor. 521 Parrott Street, San Jose Excellent for Medical/ Dental or Professional Offices, On Site Parking. Great Street Frontage, Ample power. 5150 Graves Ave, W. San Jose Located in the West Valley. Profes. Center. Small suite available NOW. Single-story building. 877 W. Fremont Ave, Sunnyvale Foothill Medical-Dental Center is a 6 plus acre medical project in the heart of Sunnyvale. Various medical and plumbed (dental) suites available. Call for best rate! 189 N. Bascom Ave, San Jose Fully plumbed dental suite available for LEASE. EZ access to Hwy 280 & 880. Space is divisible. Professional Medical/Dental bldg. Easy access ground floor unit. TI $ available for qualified tenants. 15055 Los Gatos Blvd, Medical, Dental or Retail uses allowed. Great Los Gatos Blvd. location. Easy fwy access. Medical building on a 11,600 SF lot. Clean office interiors. building in shell condition. Great visibility and FWY access. Corner location with great visibility Medical Office Bldg. with established Medical Dental Suites Available. Premiere West Valley Location tenants located directly adjacent to Close to O’Connor Hospital. Great Close to Willow Glenn & Almaden O’Connor Hospital. Flexible terms FWY Access. Available NOW. TI’s Available. suits against health care providers, which will increase our health care costs and reduce access to quality health care. According to the Los Angeles Times: “The drug rules are in the initiative because they poll well, and the backers figure that’s the way to get the public to support the measure. ‘It’s the ultimate sweetener,’ says Jamie Court, the head of Consumer Watchdog.” (December 10, 2013) This proposal also forces doctors and pharmacists to use a massive statewide database known as the Controlled Utilization Review and Evaluation System, or CURES, filled with Californians’ personal medical prescription information – a mandate our government will find impossible to implement, and a database with no increased security standards to protect your personal prescription information from hacking and theft. Though the database already exists, it is underfunded, understaffed and technologically incapable of handling the massively increased demands this ballot measure will place on it. This ballot measure will force the CURES database to respond to tens of millions of inquiries each year– something the database simply cannot do in its current form or functionality. A non-functioning database system will put physicians and pharmacists in the untenable position of having to break the law to treat their patients, or break their oath by refusing needed medications to patients. Most concerning, the massive ramp up of this database will significantly put patients’ private medical information at risk. The ballot measure contains no provisions and no funding to upgrade the database with increased security standards to protect personal prescription information from government intrusion, hacking, theft or improper access by non-medical professionals. The initiative is bad for patients, taxpayers and health care as a whole, and there has never been a greater need for physicians to band together and fight for our patients. As you can see, this initiative is fraught with problems and would prove detrimental to California’s health care system. I’m asking each of you to join the effort to defeat this costly threat to our state, and in doing so, protecting access to care and preventing higher costs for all California. Together, I’m sure we will be victorious. As we forge ahead to Election Day, it is more important than ever to make sure we are speaking as a unified, coordinated voice. If you haven’t done so already, please visit CMA’s website at www.cmanet. MICRA resource page to sign up as a campaign coordinator at http://www.cmanet.org/issues-and-advocacy/cmas-topissues/micra/join-the-fight/. •	Participate in message/media training. The campaign is also looking for physicians interested in taking on a more public role speaking to community groups about why this ballot measure should be defeated. Contact Molly Weedn at mweedn@cmanet.org for more information. Choosing Wisely An initiative of the American Board of Internal Medicine (ABIM) Foundation SCCMA-MCMS is publishing various Choosing Wisely® lists of "Things Physicians and Patients Should Question." Choosing Wisely - see next page - is an initiative of the ABIM Foundation to help physicians and patients engage in conversations to reduce overuse of tests and procedures, and support physician efforts to help patients make smart and effective care choices. Originally conceived and piloted by the National Physicians Alliance through a Putting the Charter into Practice grant, leading medical specialty societies along with Consumer Reports, have identified tests or procedures commonly used in their fields whose necessity should be questioned and discussed. The resulting lists of "Things Physicians and Patients Should Question" will spark discussion and the need - or lack thereof - for many frequently ordered tests or treatments. The American Gastroenterological Association (AGA) convened a work group that included members from the Clinical Practice and Quality Management Committee (CPQMC), chair of the Practice Management and Economics Committee (PMEC), the chief medical officer for the AGA Digestive Health Outcomes Registry® and members of the AGA Institute Governing Board. Ideas for the “five things” were solicited from the workgroup for review by the CPQMC, which developed additional topics, resulting in six draft items. The workgroup continued to pare down and refine the list, before submitting a final draft to both the CPQMC and the PMEC for approval. After final refinements were made to simplify language and avoid complex clinical terminology, the final list was submitted to and approved by the AGA Institute Governing Board. AGA’s disclosure and conflict of interest policy can be found at www.gastro.org. For more information or to see other lists of Five Things Physicians and Patients should question, visit www.choosingwisely.org. Do not repeat colorectal cancer screening (by any method) for 10 years after a high-quality colonoscopy is negative in average-risk individuals. A screening colonoscopy every 10 years is the recommended interval for adults without increased risk for colorectal cancer, beginning at age 50 years. Published studies indicate the risk of cancer is low for 10 years after a high-quality colonoscopy fails to detect neoplasia in this population. Therefore, following a high-quality colonoscopy with normal results the next interval for any colorectal screening should be 10 years following that normal colonoscopy. For a patient who is diagnosed with Barrett’s esophagus, who has undergone a second endoscopy that confirms the absence of dysplasia on biopsy, a follow-up surveillance examination should not be performed in less than three years as per published guidelines. In patients with Barrett’s esophagus without dysplasia (cellular changes) the risk of cancer is very low. In these patients, it is appropriate and safe to exam the esophagus and check for dysplasia no more often than every three years because if these cellular changes occur, they do so very slowly. For a patient with functional abdominal pain syndrome (as per ROME III criteria) computed tomography (CT) scans should not be repeated unless there is a major change in clinical findings or symptoms. There is a small, but measurable increase in one’s cancer risk from x-ray exposure. An abdominal CT scan is one of the higher radiation exposure x-rays — equivalent to three years of natural background radiation. Due to this risk and the high costs of this procedure, CT scans should be performed only when they are likely to provide useful information that changes patient management. Twelve miles south of San Jose lies a 3,500 acre site that was once known as the Almaden Quicksilver Mine. Time and nature have covered up much of the operative equipment of the once thriving mercury mine. Founded in 1845, the mine produced over one million flasks of mercury in its more than 100 years of operation. It was the second most productive mercury mine in the world. The number one ranking belongs to the mine in Almaden, Spain. Andres Castillero, a Mexican cavalry officer, was the first non-native to discover that the mine contained mercury. He did this with the help of the Ohlone Indians in 1845. He was looking for financial gain, as mercury was needed to mine silver in Mexico. This proved impossible for him, due to his military obligation in Mexico. Future owners of the mine knew that mercury was necessary to recover gold in the United States. This was the basis for Almaden’s success and the high price that mercury commanded. A virtual city soon grew up around the quicksilver mine. It consisted of three sections: Spanishtown, Englishtown, and the Hacienda. Miners from Mexico, Chile, and California lived in Spanishtown. Cornish miners, known as “cousin jacks” (from Cornwall, England) lived in Englishtown. The Hacienda contained the reduction works for recovering mercury from the ore (cinnabar). The company manager also lived in this area, along with other administrators and even some of the miners who worked the reduction plant. At its peak, over 3,000 people lived in this community. There were Catholic and Protestant churches, a school consisting of eight grades, a general merchandise store, a firehouse, and an apothecary shop where medicines were sold at cost. Other facilities included: a barber shop, a cantina for billiards and card games, a bakery, shoemaker, a second hand store, library, and social hall. Miners rented their homes for five dollars a month and paid fifty cents a month for water. They worked 10-hour shifts, six days a week, and received $40-$75 per month. The process of mercury extraction was a simple procedure and took advantage of it being a liquid at room temperature. Cinnabar (mercurous sulfide) was heated until the mercury vaporized. After it was condensed by cooling, it was collected in eight-by-eighteen-inch iron flasks. Each flask contained 75 pounds of mercury. It was shipped by rail to the Alviso port and from there, across the United States and the world. and even from chronic epidermal contact. Acute exposure symptoms include: metallic taste, excess salivation, thirst, burning around the mouth, nausea and vomiting, abdominal pain, and diarrhea. Chronic exposure symptoms consist of ataxia, tremors, convulsions, depression, and weakness. It is to be noted that these forms of mercury exposure can have overlapping symptoms. For example, the body can convert part of the vaporized elemental mercury into inorganic mercury in red blood cells, thus giving symptoms of each form. Vaporized mercury absorbed through the lungs can enter the central nervous system with corresponding side affects. The Ohlone Indians used the vermillion form of cinnabar (ground powder mixed with water) and applied it to their skin for ceremonies and rituals. Absorption over time led to symptoms of tremors, personality changes, and ataxia. They warned Castillero of these occurrences when guiding him to the cinnabar in 1845. For the miners, the exposure came mainly from the inhalation of the mercury vapor. A miner with increased salivation was temporarily removed from the reduction works until his body could clear itself of the mercury. to a cup of warm water was taken to treat a cough. In 1876, Dr. A. R. Randal, brother of the manager, became the first company M.D. Resigning after only a few months, he was succeeded by F. V. Hopkins, MD, who carried on the work until 1879. Dr. S. W. Winn arrived in the fall of 1879 and established residence at Englishtown. He received $400 per month, plus a horse and buggy. A dispensary with an office was built in Englishtown and a smaller one in the Hacienda. The doctor’s time was divided between the office and home visits. An average of 5,000 calls a year is an estimate of Dr. Winn’s early practice. Along with common ailments (aches, pains, and trauma) were the following more serious disorders: tuberculosis, cholera, meningitis, bronchitis, peritonitis, erysipelas, tetanus, nephritis, diphtheria, grippe, cancer, and measles. There is not found in the records any mention of some of the more serious toxic effects of mercury. The assumption here is that miners with acute and early symptoms of toxicity, such as excess salivation, were treated early by removal from the reduction works. These miners would recover and could even be returned to work at a later date. With his cheerful eyes, prominent nose, and a beard that made him seem older than his 31-odd years, this quiet man was loved and respected long after his cures had done their work. Photography was his favorite hobby and he worked with Robert Bulmore, the company accountant, to record the mine’s history and operations as fully as possible. Together, they developed a system of flash illumination, using magnesium powder in pill boxes, to take some of the first underground pictures. In 1889, Dr. Winn suffered a nervous breakdown and was replaced by a new graduate from medical school, Dr. Underwood Hall, Jr. Dr. Hall was born at Gold Hill, Nevada, in 1868. He first attended Cooper Medical College, in San Francisco, and then transferred to Jefferson Medical College of Philadelphia, where he graduated in 1889. Dr.
Hall’s first year at the mine consisted of 2,040 office visits, 3,499 home visits, and 25 home deliveries. After five years as the company doctor, he left and moved to San Jose. The following statistics show the death and birth rates at New Almaden for 1890. Death rate per thousand •	Spanish-American - 30.8 •	Anglo-American and other nationalities - 8.1 Birth rate per thousand •	Spanish-American - 45.4 •	Anglo-American and other nationalities - 27.1 Total population in 1890 - 1,413 With new methods of mining gold and emerging toxicity data on mercury, the price of mercury fell, causing the Almaden Mine to close in 1970. In 100-plus years of operation, the mine produced enough mercury to make it the richest mine in California. In addition, families were raised, children were schooled, doctors made house calls, babies were born, church services were held, people lived, and people died. Rusting equipment, shafts partially open, a tall brick chimney against the skyline, a Catholic Church saying weekly mass, a refurbished Casa Grande (home of the manager), even a few of the original homes in the Hacienda – these are some of the historical landmarks still remaining in New Almaden that keep the past in our present, and, hopefully, in our future. Lowering NORCAL Managing Professional Risk is a quarterly feature of NORCAL Mutual Insurance Company and the NORCAL Group. More information on this topic, with continuing medical education (CME) credit, is available to NORCAL Mutual insureds. To learn more, visit www. norcalmutual. com/cme. When you refer a patient to another physician, have some mechanism in place to determine whether your referral recommendation has been carried out and the patient has been seen by the recommended consultant (or another physician of the patient’s choice). Communicate in writing with the consultant about the requested consultation. received and reviewed by the ordering physician? Has the patient been notified about the results? An appropriate followup system provides answers to these questions. Patients should not be solely responsible for making appointments for tests, to see consultants or for calling the office to obtain results. You should assist patients in making appointments in order to be assured that the appointment has been made. It is also prudent to notify all patients of all test results (rather than just reporting abnormal results). Such a policy helps close each testing loop and reduces the possibility of patient information “falling through the cracks.” Your follow-up system for tests should not only confirm receipt of test results but also ensure that you review the results. instructions or to advise about further access to care, and unsuccessful attempts to contact patients. Telephone contacts should be documented in the appropriate medical record. If your office simply keeps a call log, information about a specific call can be difficult to retrieve. The facts surrounding a call are not readily available if they are recorded in a call log; thus, using a log can be detrimental if a malpractice claim is filed and your office must produce information about the patient’s interactions with the practice. You should have a system for documenting all after-hours phone calls. You can use telephone call forms or a tape recorder or dictation machine to record patient name, time of and reason for the call, and your advice or action. When the call is from a patient, the information should be added to the patient’s chart as soon as possible. Giving clinical or medical advice over the telephone without timely, face-to-face follow-up increases your liability exposure. Prescribing over the phone is also risky, as it requires you to assess the patient sight unseen. You should not prescribe for a patient unknown to you without seeing the patient. It is also prudent to have established parameters as to when prescriptions will be renewed by phone. Consider developing the preceding suggestions as policy and including them in a policy manual. Make sure all employees review your policy and consider asking them to sign off yearly that they have been advised of the policy and understand it. The Dental Effects and Associated Properties of Natural Sugars, Sugar Substitutes, and Artificial Sweeteners Randy Ligh, DDS SUGAR AND ITS MANY FORMS Sucrose, glucose, lactose, fructose, and dextrose are some of the chemClaire Saxton, MS, RD, CNSC ical names of what we call “sugar.” Simple sugars are monosaccharide and Joe Fridgen, DDS disaccharide forms of carbohydrate, while complex carbohydrates such as There appears to be a lot of misconceptions in the health care arena surrounding sugars. We would like to clarify and bring to light the information that exists surrounding sugars as related to dentistry. Health care professionals will find this information useful to guide patients in making appropriate choices about food, beverages, and chewing gums. Sugar has long had a reputation as a culprit in contributing to dental decay. Dental caries (decay) is a disease with a multifactorial etiology. It is an infectious process during which carbohydrates (sugar) are fermented by oral bacteria and the acid production causes enamel dissolution at the tooth enamel surface. We know that a number of oral microorganisms can produce enough acid to demineralize tooth structure. Streptococcus mutans have demonstrated to be one of the major and most virulent caries-producing microorganisms.1 The acids produced by the microorganisms are metabolic by-products of the consumption of carbohydrate.2 Extended periods of low (acidic) pH in the mouth provide a supportive environment for the proliferation of cavity-causing bacteria. The low pH is also responsible for the demineralization and net mineral loss of the teeth leading to irreversible breakdown. Caries requires both the presence of the microorganisms and the availability of carbohydrate.3 Other contributing risk factors include oral hygiene habits, presence of oral appliances or braces, medical conditions, salivary flow and content, medications, and dietary habits. a detailed list. Ultimately, these are all forms of sugar that do have a cariogenic insult potential on the teeth. The sugar alcohols or polyols (such as xylitol, sorbitol, mannitol, and maltitol) are used in foods as sweeteners and thickeners. They can be found as a sugar substitute in some “diabetic” foods because they have less of an effect on blood sugar than other sugars. As they are not extremely sweet and as they can cause stomach upset (bloating, diarrhea) when consumed in large amounts, artificial sweeteners are often used and included in the product as well. Sugar alcohols have been demonstrated to be noncariogenic. Polyols used in combination can reduce caries, but xylitol appears to take the lead in effectiveness.4 Most of our dietary sugars and polyols consist of a 6-carbon monosaccharide unit, but xylitol has a unique 5-carbon structure.5 Xylitol disrupts the processes of energy production by Streptococcus mutans, leading to bacterial cell death. With adequate consumption levels of xylitol (6-10 grams daily), bacterial levels are reduced.6 The resulting bacteria exhibit reduced adhesion to the teeth and other reduced virulence properties such as less acid protection. Dosing frequency of xylitol should be a minimum of two times a day. Xylitol can be found in some brands of chewing gum. Thus, xylitol can be beneficial and other sugar alcohols do not promote a cariogenic insult on the teeth. Artificial sweeteners are food additives that add a sweet flavor to foods, but have minimal calories. The artificial sweeteners that are approved for use in the United States are aspartame, sucralose, neotame, acesulfame potassium, and saccharine. Stevia is an approved non-caloric sweetener that is derived naturally. They are used in diet drinks, cereals, sugar-free products such as ice creams and yogurts. Artificial sweeteners also do not promote a cariogenic insult on the teeth. See Table (2) for summary. educated choices. Our role as health care professionals is to perpetuate accurate information to our patients, colleagues, and friends. A “sweet” treat does not have to cause negative dental consequences. 1. Marshall, TA. Preventing dental caries associated with sugarsweetened beverages JOURNAL OF THE AMERICAN DENTAL ASSOC> 144(10):1148-1152, 2013. 2. Loesche, WJ. Role of Streptococcus mutans in human dental decay MICROBIOL. REV 50: 353-380, 1986. 3. Orland, FJ. Bacteriology of dental caries:formal discussion, JOURNAL OF DENTAL RESEARCH 43:1045-1047, 1964. 4. LY, K; Milgrom, P; and Rothen, M. Xylitol, Sweeteners and Dental Caries PEDIATRIC DENTISTRY 28: 2 :154-163, 2006. 5. Trahan, L. Xylitol: a review of its action on mutans streptocci and dental plaque –its clinical significance. INT DENT JOURNAL 1995;45 (suppl1): 77-92. 6. Dean, J; Avery, D; and Mcdonald, R. DENTISTRY FOR THE CHILD AND ADOLESCENT (MOSBY ELSEVIER , Missouri, 2011) 177-181. 7. Guideline on xylitol use in caries prevention PEDIATRIC DENTISTRY REFERENCE MANUAL Volume 35, Number 6, 171-173, 2014. 8. Position of the Academy of Nutrition and Dietetics: Use of Nutritive and Nonnutritive Sweeteners. J Acad Nutr Diet. 2102;112:739-758. AUTHORS Randy Ligh is a private practitioner for Pediatric Dentistry in San Jose, CA, 408/286-6308. Claire Saxton is a clinical dietician at Kaiser Santa Clara Medical Center in Santa Clara, CA, 408/569-1551. Joe Fridgen is a private practitioner for Pediatric Dentistry in San Jose, CA, 408/286-6315. Pledge your commitment to protect MICRA With less than 200 days left until the 2014 general election, the California Medical Association (CMA) is working hard to educate every physician in California about the efforts underway to defeat the trial lawyer-backed anti-MICRA ballot measure. Ensuring that each and every California physician understands the importance of our state’s landmark Medical Injury Compensation Reform Act (MICRA) remains one of CMA’s top priorities. The ballot measure being pushed by trial lawyers would increase health care costs for everyone in California and decrease access to care – which is why such a broad coalition of doctors, community clinics, health centers, hospitals, and other health care providers are opposed to the initiative. The effect on our health care system would be devastating, limiting access to care for those who need it most, at a time when millions of newly insured patients are entering the health care system. CMA and the campaign to defeat the anti-MICRA measure need each and every one of you to help spread the word and educate your colleagues about the critical importance of MICRA. To that end, CMA has developed a MICRA Commitment Card. medical practice for no more than two years. Physician panelists will be paid an hourly rate of $250, plus travel and meals. For additional information on IMQ’s Judicial Review Service or on becoming a physician panelist, please contact Leslie Iacopi (liacopi@ imq.org or 415/882-5167). Mountain View medical office space to sublet. 1,100 sq. ft. Available three days a week. In large medical complex, behind El Camino Hospital. Basement storage, utilities included. Large treatment rooms, small lab space, BR, private office, etc. Call Dr. Klein at cell 650/2691030. Four huge exam rooms with sinks, waiting room, receptionist area, four offices, storage. Near train and downtown. Excellent private parking – eight spots. Available fall. Full service. Email: MenloSublease@sonic.net. Midmark Power 100. Very good condition; little used. Tan/dark brown. Includes stirrups, 30 cloth exam gowns and drapes. $195. Pick up in Palo Alto. Contact Alan Brauer, MD at 650/329-8001 or email at drbrauer@ totalcare.org. Multidisciplinary Treatments for Fibromyalgia By Paul Davidson, MD, FACR Dr. Davidson, a retired rheumatologist, is the author of Chronic Muscle Pain Syndrome, a bestselling book on fibromyalgia. Reprinted by Permission of the Marin Medical Society My interest in fibromyalgia syndrome (FMS) began when I was a fellow at the Mayo Clinic training in internal medicine and rheumatology from 1957 to 1960. At that time, FMS was generally known as fibrositis, but the syndrome was later named fibromyalgia because of the lack of any findings of inflammation. Most physicians at the time (and many to this date) considered it a “wastebasket diagnosis.” My perspective is that FMS is not really a disease (manifested by both signs and symptoms), but rather a somatoform disorder (manifested only by symptoms). As of this writing, there are no physical or laboratory findings that allow us to make a firm diagnosis of FMS. The syndrome is diagnosed almost entirely by symptoms and a tender-point examination, which is often inconsistent. Whatever you wish to call FMS – a disease, a somatoform disorder, or a psychosomatic disorder – it can vary from a mild to a very debilitating condition. Empathetic physicians can be quite helpful in treating this enigmatic disorder. Let me address some basic questions regarding FMS. WHAT ARE THE SYMPTOMS OF FMS? were considered to be an “industrial injury” and were reported as such. Her internist then became embroiled in an endless round of paperwork with the workers’ comp carrier and her attorney. The internist’s thoughts began drifting to taking a long vacation in Hawaii. Spurred by these thoughts, he got another rheumatology opinion. The second rheumatologist got more history from B.J. and learned that she hated her boss and her job. She had no time to exercise. Her major concerns, beside her symptoms, were the specter of permanent disability and the effects on her marriage. Her joint examination was normal. Her new diagnosis was classical and early FMS. She was given information on FMS and a two-month medical leave from work. She was also told to stop all medications, gradually get back to her previous exercises, and return in a month. B.J. called back three weeks later, laughing, and cancelled the appointment. Asked why, she said she was back to normal, had quit her job, was getting more exercise, and might go back to being a physical trainer. B.J.’s case is illustrative in many aspects. First, the excessive number of referrals to other physicians and the delay in diagnosis is not unusual. Second, not getting a history of her lack of exercise and the stress of her work situation played major roles in the delay in diagnosis. Third, her unusually rapid recovery was most surely due to her understanding of the basis of her illness plus the resolution of her legitimate concerns regarding chronic disability and the subsequent strains on her marriage. WHO IS BEST QUALIFIED TO DIAGNOSE FMS? Any physician who has a basic knowledge of the symptoms of FMS and is a good listener should do fine, whether it’s a family physician, an internist, or a rheumatologist. A referral to a rheumatologist can be helpful if the primary care physician is concerned about another disorder, such as rheumatoid arthritis, lupus, polymyalgia rheumatica, or Lyme disease. If the rheumatologist does not “believe” in FMS, avoid him or her. Too often, the non-believer will not recognize FMS developing in a patient with an associated rheumatic disease and will treat every symptom with potent medications that can make things worse. WHO IS BEST QUALIFIED TO TREAT FMS? I firmly believe that a family physician or internist who has the disposition to work with the patient could do as well or better than a rheumatologist. The primary care physicians probably have a better understanding than the specialist of the total physical and emotional state of the patient. WHAT ARE THE TREATMENTS FOR FMS? 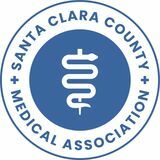 Proud to be endorsed by the Monterey County Medical Society and the Santa Clara County Medical Association. Our mission begins and ends with you, the policyholder. That means connecting our members to the highest quality products and services at the lowest responsible cost. Join us as we enter a new phase of our journey and advance with our vibrant new look and expanding offerings.